I am writing from Nashville, TN tonight. I drove here from Asheville, NC on my way to Steamboat Springs, CO. 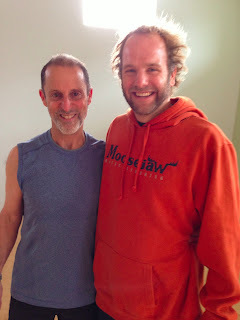 This morning I was able to take a refreshing class with Lewis Rothlein at Asheville Yoga Center. 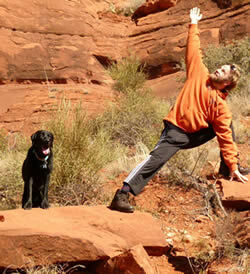 Lewis taught the Ashatanga primary series. It was exactly what my body needed after being in the truck for so long. It was also where my mind needed to be. Lewis is filled with loads of information. I would really like to learn more from him. It got me thinking (I had a lot of driving thinking time today). I have done a lot of traveling over my years. I have found the longer you stay in one place, the more knowledge you will gain about that place. However, I also have a theory that the longer you stay in something the harder it is for you to change or grow from that place. I have found a real peace in Full Circle and Orlando Power Yoga in Orlando. It is a great community, and I can count on the classes to be there. Now I am out of my comfort zone. I do not know these people in my classes, I do not know the teachers, and I do not know my outcome. I feel like I am going out to the world with open arms, asking it to teach me some new things. So how long do you stay in an area? If I was to stay in Asheville think of how much I could learn from Lewis, but at the same time I could continue my travels and learn from others. There is a fine ever changing line. I think back to a couple I had met in Europe. Their goal was to visit as many countries as possible in 26 days. However, they ran through so much of the country I wonder if they actually saw anything. What was the point if you never absorbed part of the culture or learned from the countries. At the same time, if I sat in Norway for 2 months I would have missed out on so many other countries. Tomorrow I am on a giant road trip. Probably stop somewhere in Kansas. I am off to bed.